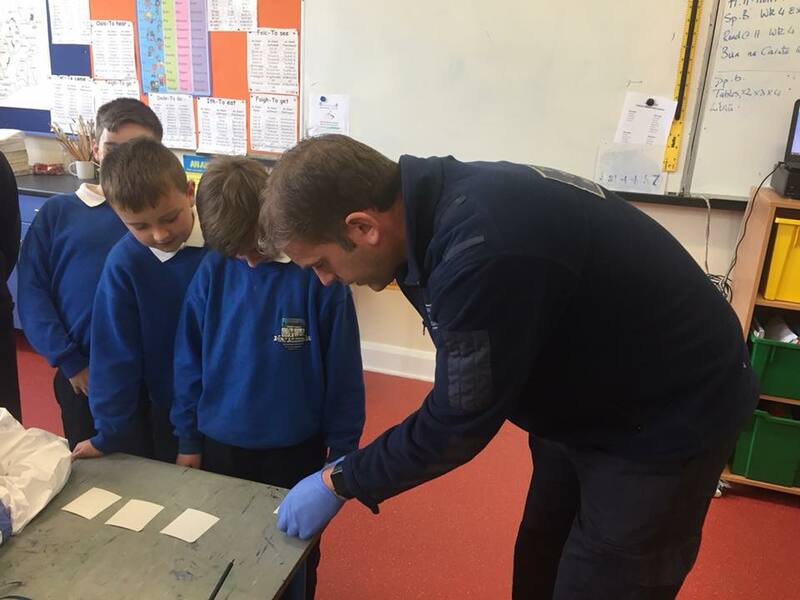 As part of Operation Storm in Carlow last week the Divisional Scenes of Crime Unit visited Tinryland National School. During the visit, the children were shown the process in which a crime scene is examined and the uniqueness of fingerprints. Each child had their fingerprint taken to bring away with them after.